jazztruth: Jazz Melodica: Why Didn't Anybody Tell Me? Recently, one of my students, a fine bassist named Luke Sellick from Winnipeg, brought a Hohner 37 key melodica into my Jazz Performance class at the University of Manitoba. Now, for those of you who have no idea what a melodica is, it's a typically plastic keyboard which, when the keys are pressed, opens a hole- so that air, blown through a mouthpiece on the side of the keyboard, vibrates a reed. This produces a sound which is reminiscent of a harmonica, or maybe an accordion(although it reminds me a lot of an instrument called the bandoneón, which is popular in Argentinian music). Some refer to it as a melodion. 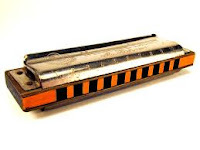 The instrument is said to have been invented by the Hohner company(they make harmonicas)in the 50's, although some say that a guy named Joseph Lederfineit invented it. Anyway, the precocious Mr. Sellick had brought the melodica to our regular Wednesday Night Hang at the Orbit Room, which is a weekly session in Winnipeg. Unfortunately, during the song on which he played his melodica, I and the rest of the University of Manitoba Jazz Faculty were having a curriculum meeting in an adjacent dining area of the Orbit Room. However, we could sort of hear it in the distance. "Is that someone playing harmonica?" someone mused. Later, Sellick approached me. "Did you hear me solo on the melodica?" he asked? " I joked,"Yes, I thought it was Stevie Wonder!" Trumpet is much more frustrating than melodica! But it wasn't until Mr. Sellick brought his new instrument into class, and let me take it for a spin, that I was truly intrigued. It's a fairly easy instrument to play: The keys on the 36 note plastic keyboard(the number of keys can differ)are about half the size of piano keys, and the action is even lighter than an organ. If you already play keyboards, you'll have no problem at all. The range of the 36 is from low F below middle C to high E above the treble staff, which is plenty of notes so as not to feel limited. The mouthpiece is just a small plastic apparatus. You just blow into it like you're blowing into a straw. And as a trumpet player who was always plagued with embouchure problems, it's an amazing feeling to get a sound out of a "wind" instrument without having to worry about the technique. Plus, if you use a little more air, you can play chords! Now try THAT on your trumpet! It's strange that I was never inspired by the melodica before; I happen to play with one of the more well known champions of the melodica, a drummer by the name of Jack Dejohnette. On our tour this summer, Dejohnette played his Hammond 44 key melodica on one, maybe two songs a night. Dejohnette was a pianist before he was a drummer, so he has the keyboard technique down pat. 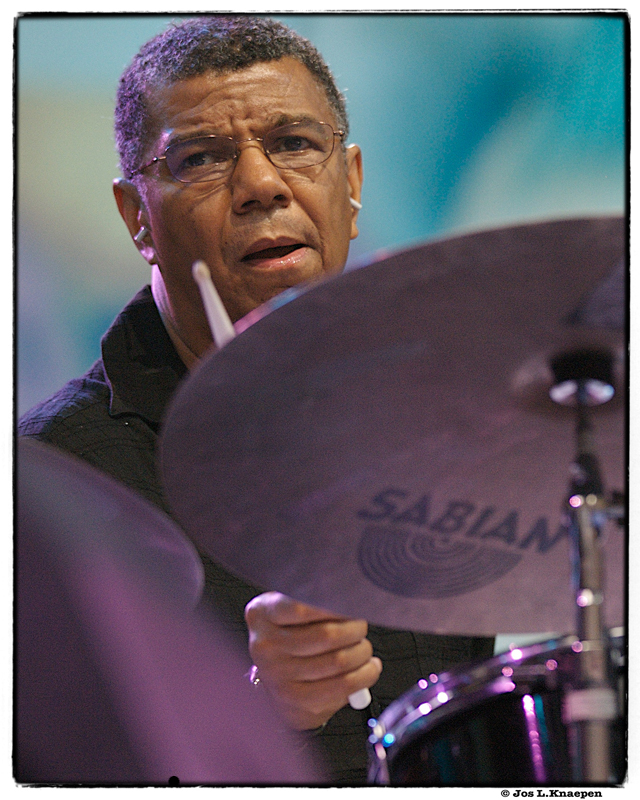 If you want to hear him play melodica, check out his debut recording from 1968 entitled The Jack Dejohnette Complex. Also, his latest CD, entitled Music We Are, features some nice melodica playing. Honestly, I'm not hip to a lot of other music that features melodica. I'm checking out some youtube clips of the great Brazilian genius Hermeto Pascoal, in which he is playing some smoking lines on the instrument. I am aware that John Medeski of Medeski, Martin, and Wood plays a wooden melodica, called the mylodica. George Duke apparently plays melodica as well. Unfortunately, many of the youtube clips I found were homemade by amateurs, which, no disrespect to aspiring melodica players, were not terribly inspirational. Honestly, I have my doubts about the sound itself. It's slightly one dimensional. However, I think it's one of those things that if you love it, you really love it, and if you don't, well, it might be cool as a novelty for a song or two. A friend of mine described the melodica's reedy tone like so:"It's ok in small doses, kind of like trombone...."
All this being said, immediately after I got home from my Jazz Performance class, I called up the Sound Electra company, a melodica store based in St Paul, Minnesota, which you can find at melodicas.com . I spoke to Steve Hegeman about which melodica I should order, and he recommended the L-37. The price was reasonable, so I put in the order. However, the postal system between the U.S. and Canada is hopelessly slow, so a week passed and still no melodica. Impulsively, I drove over to Mother's Music in Winnipeg. They had Suzuki Melodicas with 32 keys for fairly cheap, so I figured, what the heck, it's only Canadian money. I'll just have an extra melodica. I have to say, regardless of how the instrument sounds, melodica is so easy and fun to play! Wow! I went down to the Current Lounge and sat in with Mr. Sellick's trio last night, and they were kind enough to indulge me on my virgin performance on the melodica. What a thrill! 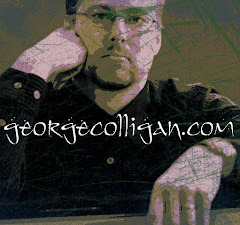 I felt a kind of liberation in that I could play all my keyboard vocabulary with a highly air driven, organic sound. I feel like daggone it, I could have been playing melodica this WHOLE time and no one told me? 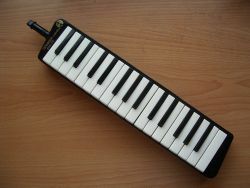 While I question the idea of my next CD being an all- melodica affair, I do plan on having some fun with it. Hopefully, the L-37 will arrive soon and I'll have a few extra keys to mess around with. I'll keep you posted. Please bring the melodica with you when you come back around these parts. I just have to hear you play this thing! That's the thing Amber, Rodrigo posted on my Facebook that you had bought one at Mother's Music. I'm sorry I didn't mention that in the article. Bring it if you like! We should have a melodica battle at the hang! Ive been playing the melodica for years on and off. Im an organ player at heart but soemtimes when going out to sit in with friends I bring it and have lots of fun! I remember one summer over a decade ago, at the Monk Institute jazz colony in Aspen, Danilo Perez carried a melodica around all the time and played some ferocious bebop on it. I had almost forgotten about the instrument entirely until last week when Judy Roberts brought one to a radio pledge drive in Phoenix. 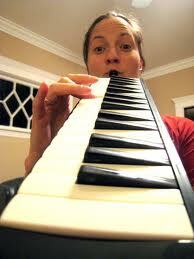 I wonder: why are so many great pianists fascinated with the melodica? Perhaps the feeling of using your breath to make music connects you to the experience more deeply than mere digital technique. Or maybe it's just the portability that is so appealing. Being a trombonist, I thoroughly enjoyed your friend's comment, "It's ok in small doses, kind of like trombone...." A friend of mine, who used to major in trombone (and later switched to guitar) said that the trombone is a "very unfortunate instrument to play." That's stuck with my for some time now. Forum Link Buildinglocation de salle lyonI wonder: why are so many great pianists fascinated with the melodica? Perhaps the feeling of using your breath to make music connects you to the experience more deeply than mere digital technique. Or maybe it's just the portability that is so appealing.